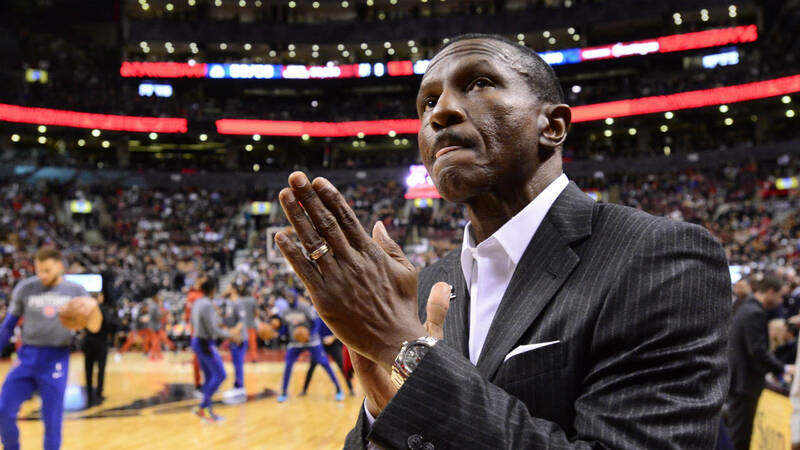 Dwane Casey’s return to Toronto was a memorable one as his Detroit Pistons won the game at the death to defeat the Raptors by a score of 106-104. Serge Ibaka sat out Monday’s contest with right knee soreness, and Danny Green left the game in the third quarter after suffering lower back tightness from taking a hard screen. Kawhi Leonard scored 29 points and collected nine rebounds, Greg Monroe saw significant action and scored 17, Pascal Siakam also scored 17. Kyle Lowry played 38 minutes and scored 14, assisting seven times and grabbing seven rebounds. Blake Griffin carried Detroit by scoring 30 points and grabbing 12 rebounds, and made three 3-pointers. Langston Galloway and Reggie Jackson scored 13 each. Andre Drummond recorded a double-double by scoring 11 points and grabbing 14 boards. Reggie Bullock only scored five points, but two of those five won the game for the Pistons with 1.2 seconds left. The Raptors start a back to back on Friday night against the Boston Celtics at TD Garden. Tip-off is set for 7 p.m.